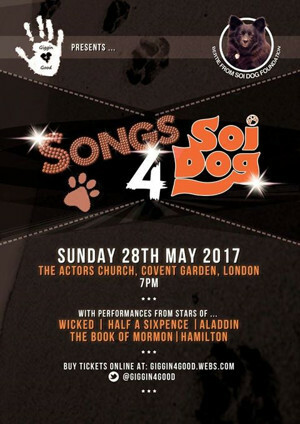 The 10th Giggin4Good charity concert - Songs4Soi - is at the Actors' Church, Covent Garden on May 28th featuring vocalists, including TV presenter and actor, Jason Manford (Bigheads, The Nightly Show, The Producers), Savannah Stevenson (Wicked, Aspects Of Love) and four time Olivier Award nominee Emma Williams (Half A Sixpence, Mrs Henderson Presents, Love Story, Zorro). "Giggin4Good - Songs4Soi" will be compered by Benjamin Vivian-Jones and the full cast (subject to availability) will include: Christine Allado, Andrew Bateup, Luke Bayer, Danny Colligan, Matthew Croke, Lloyd Daniels, Nicole Faraday, Harry Francis, Luke George, James Gillan, Chlöe Hart, Houston Girlband (Lauren Byrne, Holly-Anne Hull, Charlotte Steele), Danielle Irvine, Claudia Kariuki, Jordan Langford, Nathan Lodge, Jason Manford, Shaun McCourt, Robert McNeilly, The MTA, Mikaela Newton, Daisy Steere, Savannah Stevenson, Liam Tamne, Benjamin Vivian-Jones, Emma Williams. Giggin4Good was founded in July 2011 by children's nannies Emma Howe, Hayley Guild and Karen Howe with the purpose of staging concerts featuring West End musical theatre stars to raise money for Great Ormond Street Children's Hospital. Following the huge success of their inaugural concert, a further eight charity concerts followed, seven of them raising even more money for Great Ormond Street and the most recent (in December 2016) raising funds for MacMillan Cancer Support. This latest venture - produced by Emma, Hayley and Karen in conjunction with actor/singers Jordan Langford and Nathan Lodge - will raise money for the Soi Dog Foundation in Phuket, Thailand. The Soi Dog Foundation was established in 2003 in order to address the tragic plight of neglected and homeless animals in Phuket and other provinces throughout Thailand. Soi Dog has made - and continues to make - a significant and noticeable impact on improving the lives of tens of thousands of homeless, abused and neglected animals. It is the only organization in Phuket who have a help-line and respond to emergency calls and spend over 500,000 Thai Baht ($15,000 USD) per month treating, neutering and spaying sick and injured dogs and cats, many of which are the victims of cruelty. Musical Direction will be provided by Jack Bennett and the vocalists will be accompanied by Phil Donnelly (Guitar), Alex Marshall (Cello), Peter Ashwell (Drums). 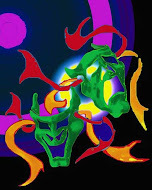 Lighting will be by Rod Henderson and Sound by Dave Pallett.